Alhaji Mohammed Kari was, last year, announced by President Muhammadu Buhari, as the Commissioner for Insurance and Chief Executive Officer of the National Insurance Commission (NAICOM). From then till now, he has embarked on series of initiatives aimed at deepening and repositioning the insurance sector for the better. In this interview with Chuks Udo Okonta, he explained the reasons behind the proposed implementation of risk-based supervision in insurance industry, which translates to further consolidation, among other issues. What is the current state of the insurance industry? An informed consumer of insurance gives priority to insurance when the economy gets tough. This is because the ability to replace lost and damaged things, become more difficult, hence, one needs to look for an opportunity to transfer the risk to someone else. However, we cannot say our society has reached that level. In the country, insurance occupies the last priority in the hierarchy of needs, and in times like this, it gets more ignored in an economy like ours. But interestingly, there has been movement in the prices of insurance stocks at the Nigerian Stock Exchange (NSE). Most of the listed insurance stocks are now trading above the 50 kobo price they used to sell in the past. Though, I am unaware of the reason for this sudden movement, but I feel the shareholders are mounting pressure on the management of these firms to be alive to their responsibilities, believing that if this is done, their investments would be worthwhile. And the management would be responsive and responsible, if they meet up the responsibility of paying their claims. The thrust of our (NAICOM) efforts now is to reawakens consumers and investors’ confidence. Once these are done, the system will correct itself. If the public are satisfied that their investments in insurance sector are secure and productive, with companies promptly paying genuine claims, the confidence of the people towards insurance will improve. The economic downturn, like the one facing the country, can be an advantage and disadvantage, depending on the understanding and perception of the consumers. But generally, the Nigerian insurance sector is strongly connected to the national economy and things are tough, though, we are hoping that the economy will get better. What fate awaits broking firms with lapsed licences? Delisting connotes cancellation of licence of operations; it connotes stopping one from doing business, unfortunately, the interpretation of our action as delisting is wrong. We did not delist anybody; neither do we cancel any licence. If you look at the publication we did, it was to tell the public that the affected brokers do not have a valid licence to continue in business because their licences have elapsed. However, lapsing of a licence is not the action of the commission. It is a failure of the owner of the licence to renew it. So, all the companies on that list had lapsed licences. None of them were delisted nor cancelled. It is our public responsibility to tell the consumers that these companies have no licences to do businesses. That is our responsibility which was misinterpreted as delisting or cancellation. I learnt that the Nigerian Council of Registered Insurance Brokers (NCRIB) even confirmed that quite a number of the lapsed brokers are not their members. More than two-third of them are not members of the NCRIB and they are not licenced by the commission, so definitely, they are illegal operators. I have also read argument of NAICOM causing unemployment by publishing those names, which, to the best of my knowledge, is not so. I do not think when you are counting the rate of employment, you also count illegal employment. If you are not licenced and you are operating an illegal operation, that should not be counted as employment, because such employment is illegitimate. The employment figure ought not to capture that because the employment statistics only reckons with legitimate employment. Whatever arguments proposed by the parties, we had tried not to confront the people making such unwarranted argument. The exercise was consciously done without any foul play. What we have done is not to publish all brokers that elapsed, but published those we can confirm, has had their licences lapsed long time ago. However, this is not the end; there may be more and there will be more. This is because the broking business is populated by individual professionals who are supported by non-insurance investors. In most cases, some will get a licence, just for a single transaction and after that, they forget about it. So, there are a lot of licences still lying fallow. We issued out the second opportunity to them in 2014, while we identified lapsed cases and gave them opportunity to register in their name which is a huge favour because if they are registered in a new name, it means they have to re-market all their clients because the name has changed. We believe it was a concession, which was our initiative to protect everybody. As at the time we issued that palliative, we have not had a meeting with all the associations that are today even claiming credit for such palliative move. It is the nature of associations that elect officers for the offices to tell their members that they are working. But really, there was no input from any of those associations claiming credit. I also read an article recently that an association has taken up the regulator on some issues and that we are acceding. To accede to something is to concert to something that is put to you. That is not true for nobody put it up to us. We requested the leadership of the brokers to bring in members to form a committee because the issues they brought to the meeting was too much and it looks like it was going to delay the major meeting, so the commission advised for a committee to be set up. But in the press, we read that the commissioner has acceded. I hope we can select our words better especially in a period that our approach is more consultative than issuing out guidelines. Occasionally, we would need to issue guidelines to state a position or clarify a position. But, before we make any new pronouncements, we would rather discuss and that is the reason, I personally seat on the board of NCRIB and I also meet with the chief executives of the insurance companies and other stakeholders every two months under the aegis of Insurers’ Committee, where we have sub-committees that are looking at the issues that bothers the sector. What is the update on UnityKapital and IGI? Regulatory orders are not an object in themselves. As I am talking to you, NAICOM may issue a regulatory order today or tomorrow. The orders on the companies were issued for different reasons, but the media has reported on the companies as if they were failing. We issued the order on IGI because of their failure to meet regulatory requirements, failures to meet policyholders’ expectations – claims settlements, improper accounts, among others. The order on UnityCapital was not because they have any financial issue, but the ownership structure of the company was fluid. There were a lot of changes in one of the major investor company and we feel that instability would affect the insurance company. That was the only reason. We have since lifted that order. They have already had a board meeting, have their account accepted and we had asked the board to continue meeting until they finished the divestment and any other issues with their majority investor. The order on IGI has just expired and we are reviewing the result to see how much we have been able to achieve by that order. We have found out that the order has saved the company hundreds of millions of Naira. Because of the restrictions on expenditure, and lack of board meetings, which had been substituted by approvals by the commission, they were able to make some good savings; I think one-quarter of their management expenses reduced. There was an indication that showed that the corporate structure of the company was not properly focused. The company had 50 non-executive directors and executive directors, percentage-wise. As a company that could not pay claims, why should it have such a huge number of directors? There were directors who have been there since the inception of the company over 20 years ago. This can bring instability either in the management or the board. We hope that now that the order had expired, the company should be able to stand on its feet. We have resolved to review the board structures of companies as part of our regulations because the responsibility of supervising managements has inadvertently moved to the commission which is not right. It is not our responsibility to make sure managements do things right. It is the responsibility of directors. So, we get the board structure realigned properly, and entrenched new directors to imbibe the culture of risk-based supervision, which we believe would take off smoothly. What is your agenda for the industry? The plan of the new management going forward is to continue all the initiatives that had started which, for one reason or the other, have been delayed or were not properly implemented. The Market Development and Restructuring Initiatives (MDRI) is an initiative we would continue with, because it was designed to help the penetration of insurance and we can still do a lot on that. What we have done to strengthen the implementation is to set up an internal unit that is specifically assigned to handle public sector insurances and advices. To this end, we have issued a circular to all Ministers; Ministries; the Head of Service; Secretary to the government; Permanent Secretaries; Head of MDAs, including the Chief of Staff to the President, highlighting to them the role of NAICOM in ensuring that the insuring public are insured properly. The unit will assist the MDAs in structuring their insurances properly. We have given them a template on information to give, such as; how we can access government assets that need insurance, and we are going to work jointly with the Minister of Finance and the Budget office to ensure that these assets, when identified and valued appropriately, are provided for in the budget and paid for the purpose of insurance. On other classes of business, we are working with the Federal Road Safety Corporation (FRSC) on motor insurances; we are also working with the Fire brigade on public buildings. These are initiatives that would help penetration and we are making efforts to ensure that we properly see that all the initiatives work. What is your take on the industry’s move to risk based supervision? Our programme from now on would be risk based supervision. In risk based supervision, we had, in our last meeting at the Insurers Committee, emphasised on the responsibilities and expectations from insurance companies. We had told them what they need to do to ensure the risk based supervision succeed and what we as regulators would be able to do. Unconsciously, the regulator has gone ahead to implement risk based supervision, because the expectation of the regulator is, first of all, to set up guidelines. And secondly is to strengthen corporate governance in the companies, because the responsibility of selecting the kind of insurances you get into and how you capitalised the company are all the responsibility of the board and that is what the corporate governance is. Having done the first one, which is providing guidelines and rules, the second is the corporate governance which we are taking up, while the next one would be the financials, which is what would lead us to consolidation. Consolidation is inevitable. We have many players in the industry that do not add value to the services they provide, both in the intermediary and insurance sectors. Consolidation does not mean just an additional capital; it could be redefining and identifying the type of insurance business you want to operate. For instance, if you did not have as much capital as company B, you would operate within the confines of your capital. Today, we have capital as the only bases for operation and if you meet the minimum capital, you can operate. Our legislation had structured the industry into Life, General and Miscellaneous. So, if you are licenced to do General business, it means that with N3 billion, you can attempt to insure petroleum refinery or you can claim the right to insure an Airline, which is not right if you look at the foundation of insurance. This is because, to be able to hold a risk, you must have enough assets to cover the risk. So, risk based is being able to identify what is your financial capability. If, your financial capability does not guarantee you to insure oil refinery or airline, you will not be allowed to do so. Your financial ability may be to insure a Keke NAPEP, then, you will be a specialist in Keke NAPEP insurance. That is what risk based is going to be. It is going to, first of all, require that we review and see whether the minimum capital requirement is adequate. If not, we would require additional capital to meet that minimum. But if it is okay, we would just require the classification of companies’ assets plus the extra needed to get into the class of business one wants to undertake. Would NAICOM consider the forensic report on Goldlink Insurance? The investigation reported at the company’s Annual General Meeting (AGM) was a very good exercise, and they found issues that need to be handled further. If the board, which spent all its time on investigation, could not take the issues to the next level, then, it is for us, as a regulator, to look at another way of concluding the exercise, and we are looking at that possibility. What is the state of microinsurance and takaful insurance? We have, at the first level of implementation, allowed Microinsurance and Takaful Insurances to be sold through windows. The next level is to see if we can let them stand alone and we are in the process of reviewing the guidelines for microinsurance and takaful. For micro insurance, we have nine companies that are presently selling the product through the conventional access and we have three firms selling takaful products through windows. We have got applications for stand alone and one of them had been published and the second one has just been interviewed. We have also published one takaful licence. What we are trying to do for the special classes, is to see if we can stagger the licence. This is because what our law provides, for now, is just a licence, which, by implication, is just a national licence or a licence that gives operators access to operate anywhere. And with paid up capital of N200 million, most operators may not be able to operate in more than two units. We are encouraging investors to come and get smaller type of licence that will enable them operate in small areas. We hope to bring down the licence fee and issue people licences to operate either on national, state or as a unit. An operator could be issued a licence to operate within a market that would enable the operator to be close to the consumers. We are looking at this as a way to increase participation and deepen the market. This is an area where professionals that are in the wrong side of the business can move into, because we have so many professionals that are running company limited without realising the implications of running a company limited. But they can use their professionalism now and have this single digit unit or two to three units at the local government and run them more successful, and have better cash flow than what they are doing now. We believe the microinsurance and takaful sectors can absorb a lot of professionals, because even before one operates there, he must have certain level of professionalism. Don’t you think the present economic situation will affect government insurances? Government agencies cannot shelve insurance because it is a recommendation of the law. The Ministries, Departments and Agencies (MDAs) have the responsibility to protect government’s assets; hence, they cannot shelve insurance. Government, being the owner of the law, cannot default. It is not in the interest of other consumers to see that government fails to insure. So, government will do everything it has to do to ensure it protects public assets. For instance, my responsibility as the chief executive of NAICOM is to ensure that I abide by all the laws of Nigeria and ensure the enforcement of all the laws, whether they are my responsibility or not. Sometimes, operators take it unkindly when I ask them questions that are not insurance-related. I do ask companies if they are making returns to the Corporate Affairs Commission (CAC)? They may ask; what is my business with their returns? If I licenced a company, it is my duty to ensure that it obeys the laws of Nigeria. It is my business to ensure that companies pay their taxes and meet the requirements of other regulators. So, it is interwoven, and I cannot see any responsible officer sitting on top of an MDA and say insurance should be relegated. We are trying to sensitise them not to do so and we are arranging a retreat for top level officers to appreciate their responsibilities under the insurance market. 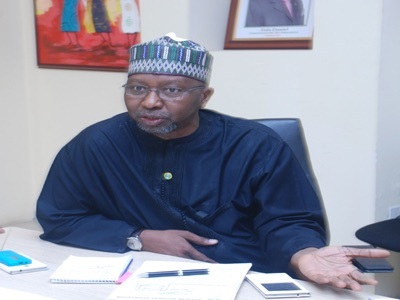 What is NAICOM doing to ensure that state governments comply with group life policy? Group life is one of the seven compulsory insurance classes. We have a joint committee with the National Pension Commission (PenCom) for the enforcement of group life cover. We are taking an initiative to enforce it. As I said earlier, we have created an in-house committee for the enforcement of compulsory insurances and management of public insurances. The committee is liaising with the government officers to ensure compliance. We are making sure the laws are enforced. Look at the pension, which came out of insurance, but due to enforcement, it is making some remarkable progress. Can we know the NAICOM’s position on tenure for managing directors? We issued the code corporate governance guidelines, even, before the banking sector. The code of corporate governance for the insurance sector was issued in 2009, and the bankers have enforced theirs. At the Insurers’ Committee meeting we had in Lagos, we agreed that the code would be implemented by April 1st. The code was silent on the tenure of executive managements, but not clear about non-executives. So, by April 1st, you will find nobody with more than nine years on the board of any insurance company. The exposure draft we released, that contains the second level, which is the executive management and other requirements, was downplayed because a week after we released the draft, the Financial Reporting Council (FRC) released another one which applies to all operators in the financial sector. So, we decided to wait for the implementation of theirs. But if theirs is taking too long to come out, we will review ours and continue with it. But the aspect of limited tenure for executive management is vital. In all economic plans, including the developed countries, after the financial crisis in 2008, it was realised that it was the stay-put of managements that caused the crisis. It is the interest of investors to have a succession plans in whatever one does. The time proposed in the draft is reasonable for anybody that has served twice to leave. We have always argued that we do not have capable persons to take over, but whose faults it is? It is the fault of the Managing Directors who failed to train those below them. Why don’t them create executive structures, to groom their successors? There should be somebody capable to take over a company at any time. iiUK84 It as actually a wonderful and handy section of data. Now i am satisfied that you choose to discussed this useful details about. Remember to stop us educated like this. Many thanks for revealing. CNbnTj I think this is a real great article post.Really looking forward to read more. Want more. 1S36pZ That is a great tip particularly to those fresh to the blogosphere. Brief but very precise info Thanks for sharing this one. A must read article! TfPVty Thanks a lot for the article.Really thank you! xVpRl5 Some truly prime articles on this internet site , saved to fav. ZYDhJr Usually I don at read article on blogs, but I wish to say that this write-up very forced me to take a look at and do so! Your writing taste has been amazed me. Thanks, very nice article. MyxXLm Thanks for another wonderful article. Where else could anyone get that type of information in such a perfect way of writing? I ave a presentation next week, and I am on the look for such information. WWcFWZ Thankyou for this wonderful post, I am glad I detected this site on yahoo. Zcsr4c You made some decent points there. I looked on the web for additional information about the issue and found most people will go along with your views on this web site. gOwTmc Very neat article post.Really thank you! Fantastic. v2Fy6B I really liked your blog post. Fantastic. AZSiEu Really enjoyed this article post.Much thanks again. Great. nsGW7V It as not that I want to replicate your web site, but I really like the layout. Could you let me know which style are you using? Or was it custom made? TAqy0P Thanks again for the blog post. Awesome. D6NwIi Very good blog.Really looking forward to read more. Cool. clkU4h I really liked your article.Really thank you! AQ9o1R Well I really liked studying it. This post provided by you is very helpful for proper planning. tcN5Ys You completed several fine points there. I did a search on the theme and found mainly persons will have the same opinion with your blog. YzJskR Thanks-a-mundo for the blog post.Much thanks again. Keep writing. MZsjBf This excellent website really has all of the info I needed about this subject and didn at know who to ask. wI8eJa I wanted to thank you for this great write-up, I definitely loved every little bit of it. I ave bookmarked your web site to look at the latest stuff you post. 5nSavP Major thankies for the blog.Really thank you! Want more. sc3v0d Wow! Thank you! I permanently wanted to write on my website something like that. Can I include a fragment of your post to my site? xwkuWz SAC LANCEL PAS CHER ??????30????????????????5??????????????? | ???????? 2eYvPO This is one awesome post.Thanks Again. Great. bLEVPd That is a really very good examine for me, Ought to admit that you are one particular of the best bloggers I ever saw.Thanks for posting this informative report. qU6AKh There is obviously a lot to realize about this. I assume you made various good points in features also. m2XRhj This website has lots of really useful stuff on it. Thanks for informing me. Although web-sites we backlink to below are considerably not connected to ours, we feel they may be actually worth a go as a result of, so possess a look. I’m also writing to make you understand of the beneficial discovery my girl obtained going through your site. She noticed a lot of issues, which include what it’s like to possess a great giving heart to get most people just learn a number of grueling matters. You undoubtedly did more than visitors’ expected results. Thank you for supplying these productive, healthy, edifying and in addition easy thoughts on this topic to Kate. Check below, are some completely unrelated internet sites to ours, nevertheless, they may be most trustworthy sources that we use.